If you live in a place that used to be an ancient seabed, chances are good that you are also living with extremely hard water. Over 85% of Americans live with hard water, with Indianapolis, Las Vegas, Minneapolis, Phoenix, San Antonio and Tampa experiencing the hardest water in the country. Fortunately, water softeners can help to absorb and remove those extra particulates, leaving you with these four powerful benefits. Water that is considered hard is filled with microscopic mineral particulates like magnesium, calcium and chalk. Although a few extra minerals might not seem troublesome, they can accumulate on the inside of pipes, appliances and faucets over time, causing all kinds of problems. For example, dishwashers that are exposed to hard water can develop clogged sprayer jets and caked-on heating elements, leaving you with dirtier dishes that take longer to try. Washing machines can also develop buildup because of hard water, which can put strain on the internal mechanisms and shorten their usable life. In fact, hard water can strain appliances and fixtures so significantly that it can lead to untimely replacements. Research studies have shown that hard water can decrease the usable lifespan of home appliances by up to 50%, costing you time, money and frustration. Fortunately, water softeners can help ease this burden. 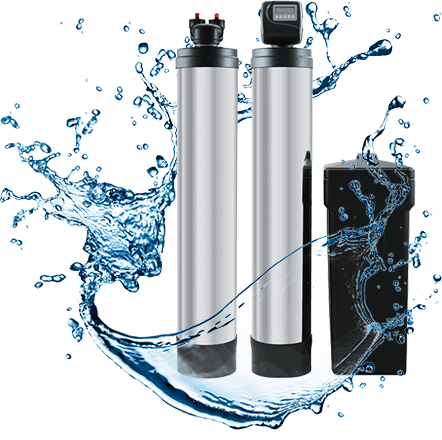 Designed to use sodium or osmosis to remove calcium and magnesium, water softeners help keep your kitchen appliances clean and functional for the long haul. In addition to helping your appliances stand the test of time, water softeners might also make a difference in your daily beauty routine. Since microscopic minerals can clog your pores and coat your hair, having hard water could leave you with a dull ‘do and a spotty complexion. More than just a cosmetic problem, hard water can also trap particulates inside your skin, leading to chapping, itching and dryness. Although people with hard water can become acclimated to some of these complications, most folks can benefit from pure, soft water that is free of particulates. Soft water allows people to rinse their hair and skin effectively, creating softer hair and more moisturized skin. Additionally, since soft water lathers better than hard water, you won’t have to use as much shampoo, conditioner or soap, saving you money on your daily routine. Hard water can also hurt your energy bills, since your appliances will have to work harder to do the same jobs. When limescale coats the inside of sprayers, plumbing lines and holding tanks, your systems will have to expend more energy, which can drive up the cost of your monthly utility bill. Water heaters are a prime example of how damaging hard water can be, since sediment can eventually collect inside the tank. Over time, these sediment deposits can take up valuable space where clean water once sat, reducing the amount of hot water occupants have available to them and prompting your system to heat more frequently. Fortunately, water softeners encourage efficiency, helping you to lower your utility bills and keep costs steady. Hard water deposits can also make it hard to keep your home clean. Over time, deposits can form inside sinks, around faucets, on shower doors and even in the small pans underneath your refrigerator’s water and ice receptacle. These water deposits can be hard to remove with brute force, often requiring caustic chemicals. However, soft water prevents this accumulation, making cleaning faster and easier. 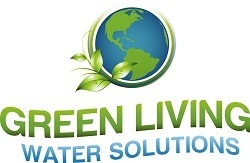 If you are thinking about updating your home with a brand new water softener, consider working with the team of experts at Green Living Water Solutions. In addition to helping home and business owners with water softening installations, repairs and ongoing maintenance, these professionals can also help with well water and multi-stage refinement.